Fuse, the national television network dedicated to music, has today announced the renewal of the breakout sensation half-hour docu-style series, Big Freedia: Queen of Bounce, for a third and fourth season. This comes on the heels of a record-breaking season two, which wrapped up earlier this month, making Big Freedia the most popular series in Fuse history. Production on the new seasons will begin next month; the 13 episodes will be split into two seasons with season three airing in early 2015. 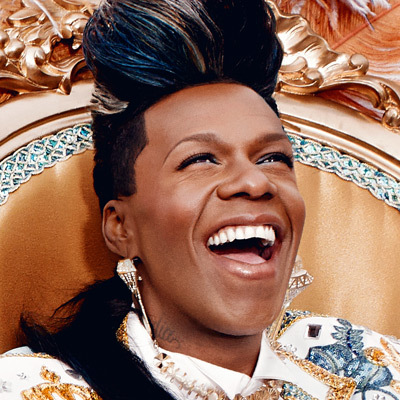 The second season of Big Freedia premiered at 11 p.m. on June 11, 2014 more than tripling viewership among P18-34 viewers (+223 percent) while growing its audience among Total Viewers (+68 percent), compared with the October 2, 2013 season one premiere. Similarly, the July 30 season two finale, delivered more than 5-times the P18-34 viewers (+462 percent) and +86 percent Total Viewers, compared with the season one finale. Overall, the second season, showed substantial growth from season one, averaging +74 percent more Total Viewers and +192 percent more P18-34 viewers. Source: Nielsen, Live+3, premiere episodes from season two (6/11-7/30/14). Season 1 = 10/02-11/20/13. With local hero and compelling personality Big Freedia as its guide, **Big Freedia: Queen of Bounce** is an unscripted series that explores the world of the New Orleans underground hip hop scene known as “Bounce.” It is executive produced by Fenton Bailey, Randy Barbato and Tom Campbell of World of Wonder (RuPaul’s Drag Race, Million Dollar Listing, Life with La Toya). Fuse, the national television network dedicated to music, brings viewers closer to their favorite artists and bands by featuring original series and specials, news, exclusive interviews, live concerts and video blocks – all rooted in the music experience. Celebrating the hit makers of today, familiar favorites and edgy newcomers, Fuse accommodates the wide ranging tastes and attitudes of its 18-34 year-old audience with compelling music programming on-air, on-line, on-demand, in HD and via mobile technologies. As of July 2014, Fuse is part of SíTV Media, Inc., which also includes NUVOtv, the premier English-language destination for Latino entertainment. Innovative production company World of Wonder is behind such entertaining hit series as RuPaul’s Drag Race (Logo), Million Dollar Listing LA, Million Dollar Listing NY, Million Dollar Listing Miami (Bravo), #CandidlyNicole (Vh1), Big Freedia (Fuse), Life With La Toya (OWN), and Island Hunters (HGTV).